We’ve been praising the Nvidia GTX 460 recently for its mid-range mastery, but at the high end of the graphics market the HD 5870 still rules the roost. 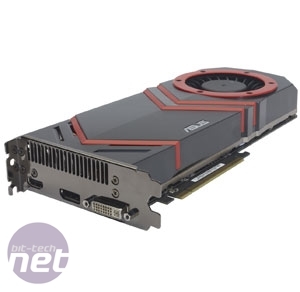 Nvidia’s GTX 480 may be slightly faster than the HD 5870, but the combination of massive power consumption, heat output, noise and high price make it unappealing. However, Nvidia is getting tougher on the pricing front at least, making HD 5870 prices (which haven’t shifted much since its release last September) look less attractive. 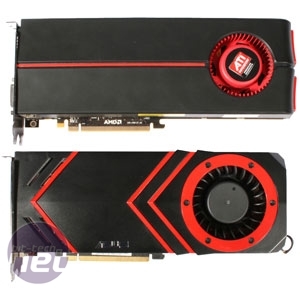 It was only a month ago that we were looking at Asus’ top end, tweak-tastic Matrix Radeon HD 5870, but the Asus HD 5870/G V2 is targeted at those looking to grab themselves a Radeon HD 5870 for a more realistic price tag, without having to compromise on attractive high-end features such as a custom cooler, warranty-backed overclock and a bundled game. That’s the hardware equivalent of having your cake and eating it too. The Asus doesn’t push the boat out too much though, so don’t go expecting Matrix levels of overclocking prowess. A fairly nominal bump in clock speed from 850MHz to 868MHz equates to a teeny 2 per cent increase – hardly enough to net you 1fps extra in many games. 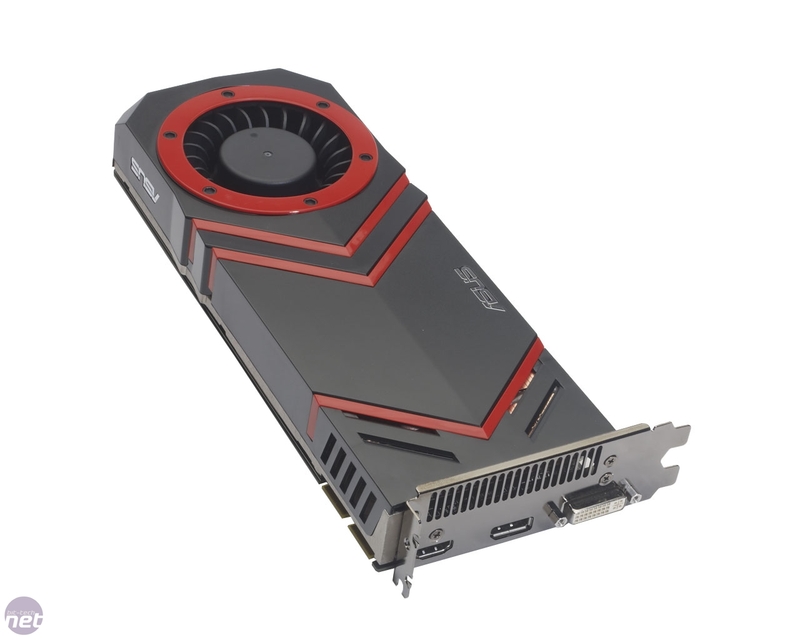 However, to achieve this overclock reliably Asus has overvolted the GPU from the typical 1.15V to 1.21V, which will likely have a knock on effect on the card’s power consumption and heat levels. As is usual for most pre-overclocked HD 5870s, the GDDR5 memory clocks haven’t been touched and remain at 4.8GHz effective. 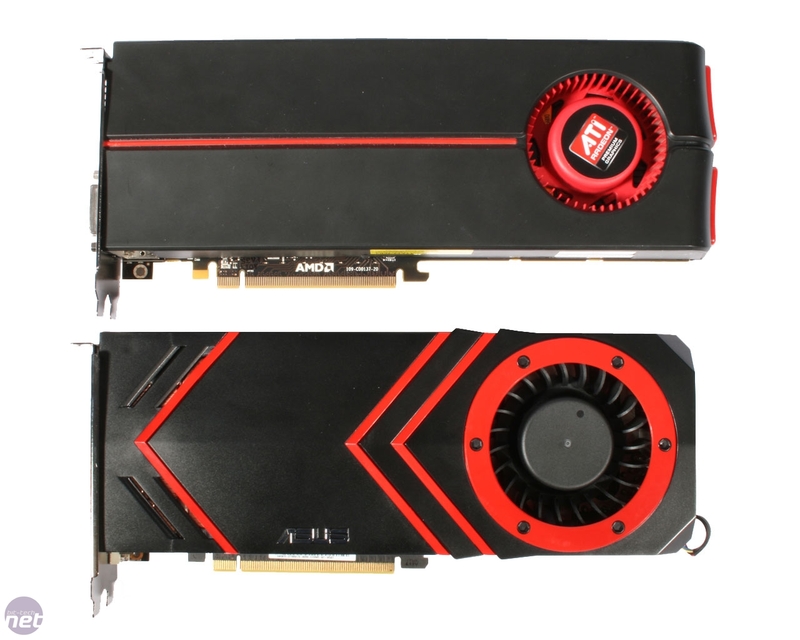 This overclock is only present on the HD 5870/G V2 – there is a stock-speed model, which drops the /G from its name. Cooling the overclocked GPU is a copper and aluminium heatsink and fan shroud that’s not too dissimilar to the one found on the Matrix. The GPU itself is cooled by a copper contact plate through which three chunky copper heatpipes run, channelling the heat into the 35 coppper fins. 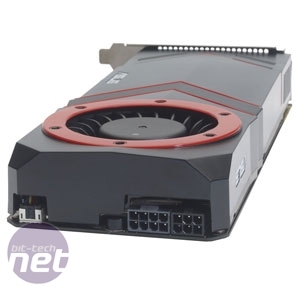 The fins are aligned laterally along the card so that air from the radial fan blows along the heatsink and out the rear of the card, just as with the reference cooler. The fan is larger than usual, measuring 80mm in diameter. Cooling for the memory and power circuitry is handled by a chunky aluminium plate onto which the cooling fan and GPU heatsink are mounted, with thick thermal padding to ensure a snug fit for the heat-producing components. Just like the cooler, the PCB is of a custom design, so won’t accommodate standard full-cover waterblocks. 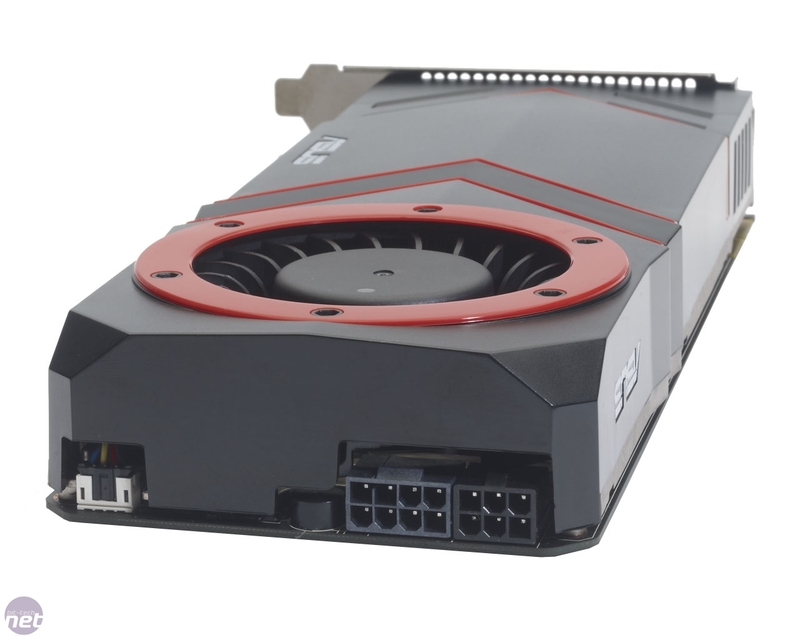 The biggest difference from a bog-standard card is in the power design: the Asus uses a 6-pin and 8-pin PCI-E power connector instead of a pair of 6-pin PCI-E plugs. 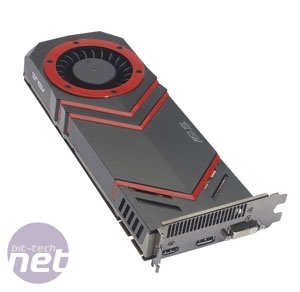 This is likely due to the increased GPU voltage Asus has used, although the rest of the card’s power circuitry has been similarly beefed up, with seven chunky power phases between the end-mounted power plugs and the GPU. This is a similar design to that of the Matrix, albeit slightly scaled back. In addition to the pre-overclocked, custom cooled goodness of this card, Asus also includes a Steam redemption code for STALKER: Call of Pripyat, as well as Molex power converters for the 6-pin and 8-pin power inputs. Also included is the Smart Doctor application which contains the Voltage Tweak overclocking and overvolting tool. We first looked at this application back in October 2009 and while it does the job of overclocking your card, it’s aged dreadfully in comparison to other overclocking tools, lacking basic functions. 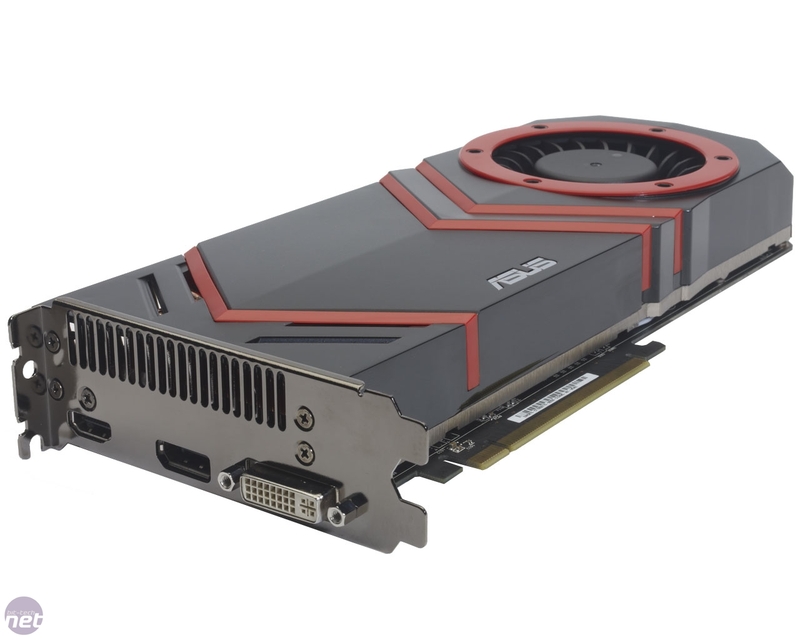 MSI’s Afterburner is a better bet for your overclocking needs, if you ask us.